Bill Reilly qualified from Glasgow Veterinary School in 1970 with an intercalated degree in physiology. After five years in food animal practice he joined the State Veterinary Service where he obtained his DVSM from Edinburgh University. During this time he developed an interest in veterinary public health and was seconded part-time to the NHS in Scotland. He was appointed as a full time Consultant in Veterinary Public Health in 1989 and as assistant and then deputy Director of the Scottish Centre for Infection and Environmental Health in 1995. He was recognised as an RCVS Specialist in 1992 and as a Fellow of the Faculty of Public Health Medicine and a Diplomate of the European College of Veterinary Public Health in 2001. He was elected as an Honorary Fellow of the RCVS in 2002. 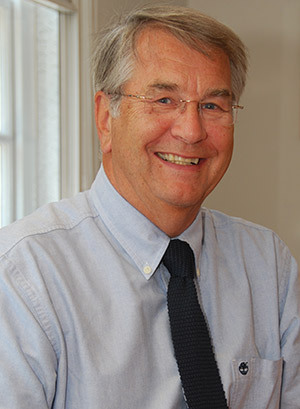 In 2006, Bill retired from the NHS and was appointed to the Board of the Food Standards Agency, having previously been Chair of the Advisory Committee on the Microbiological Safety of Food. Bill has been an active member of the British Veterinary Association and served as President in 2009-2010.